Having recently released his ‘The Rebel’ on Toolroom and ’Give It To Me’ (Dale Howard Remix), Pagano’s Kism Recordings welcomes Glaswegian Skriver to the fold who delivers a techno interpretation of their latest release, ‘The Black Sheep’. With releases on Adam Beyer's Drumcode, Gary Beck's Bek Audio and Green Velvet's Relief/Cajual labels, Scottish DJ/producer Skiver adds to his productions with this remix. He produces techno and tech house under his Skiver alter-ego or as Alias GB (with his brother, techno’s Harvey McKay), or under his real name Ryan McKay. Two sided, Pagano’s tech house original mix, where different influences collide, is also featured. A former resident DJ for London's After-Hours club 'Trade', Pagano has released material on Umek’s 1605, Mark Knight's Toolroom, Stefano Noferini's Deeperfect and Mauro Picotto's Alchemy label amongst others. This year the Italian DJ/producer has seen his work recognised with features and premiers with DJ Magazine, Mixmag and Data Transmission. He also has a busy International DJ schedule that includes residencies at Belgium’s La Demence (Fuse, Brussels), Spain’s Matinee parties (Barcelona & Ibiza) and London’s XXL club. 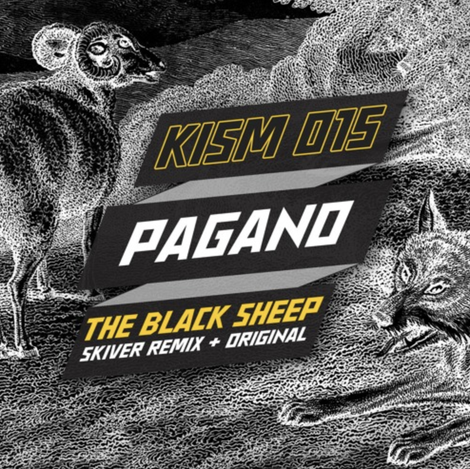 ‘The Black Sheep’ by Pagano featuring the Skiver Remix is out on Kism Recordings in December.